Forget emails or Facebook, and don’t even think about writing a text. 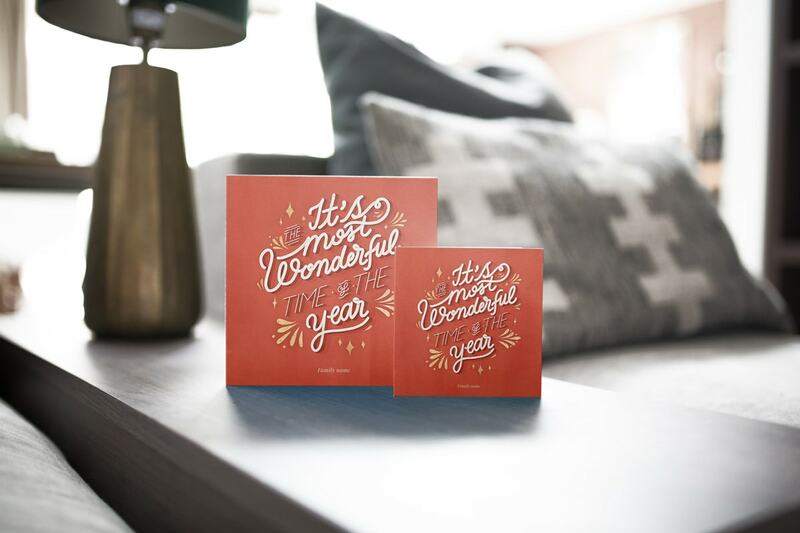 A personalised card is the only way to send seasons’ greetings this Christmas. We’ve got over 180 Christmas card designs including 75 brand-new for this year, all hand-drawn by our talented illustrators. Choosing the style and photo can be tricky though, so we’ve put together a list of tips to help you out. What better way to celebrate the holiday season than to bring your past year to life with a collage? 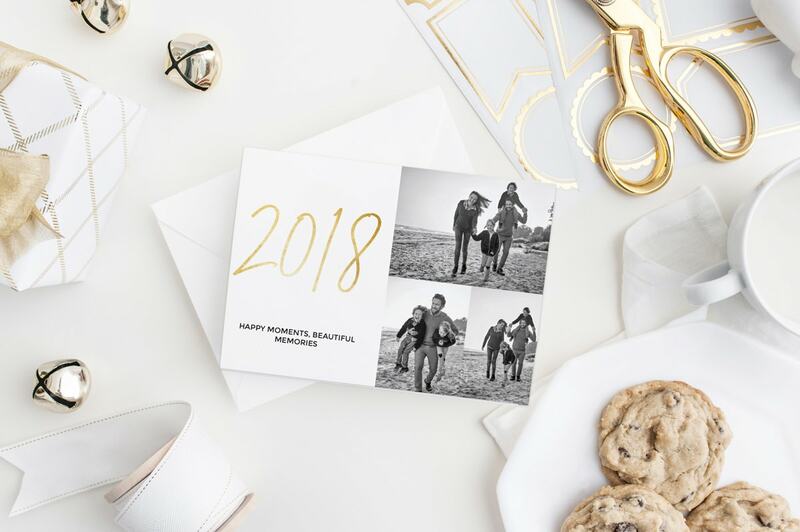 Feature your favourite holidays, family moments and milestone events. 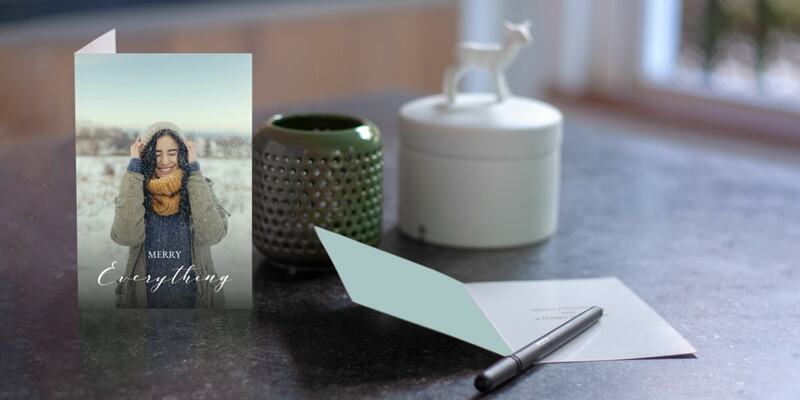 For more ideas on what to write in your Christmas card, read our tips on writing a heartfelt festive message. Keep your cards simple and elegant by sticking to a monochrome palette. Take a photo using a black and white filter for the front to match the design. Our ‘Simple Trees’ and ‘Word Tree’ designs are particularly perfect for this approach. 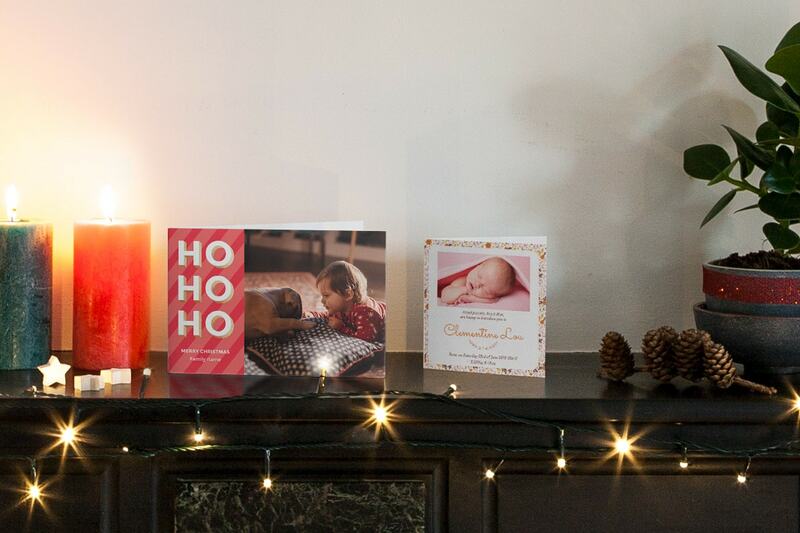 Read our blog for some creative ideas on displaying your Christmas cards for more ideas. 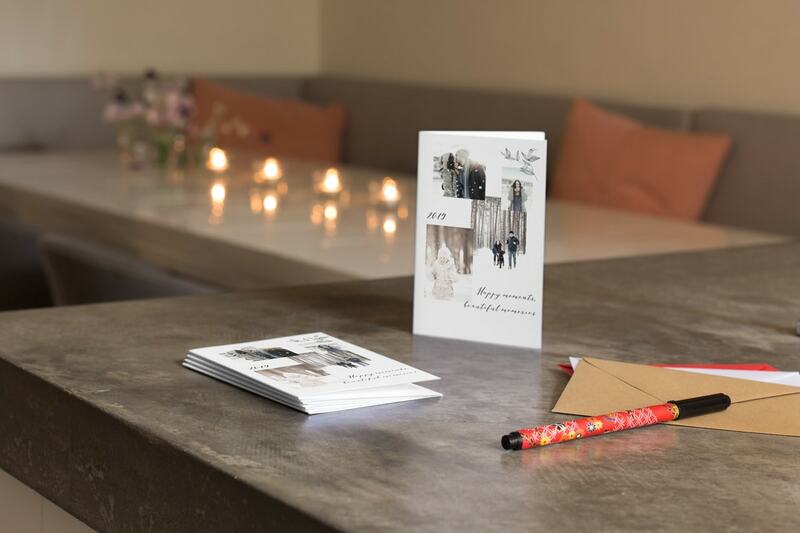 Instead of featuring a photo on the front of your card, use it for a personalised message in one of our many stylish fonts. 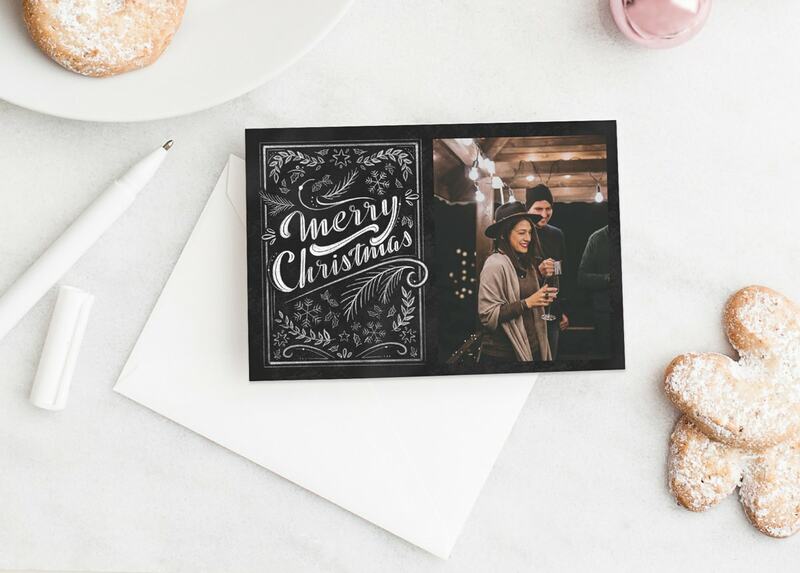 Typographical cards look modern and sleek. Then feature a photo on the inside of the card so that when they open it up they get a lovely surprise. Our in-house team have hand-drawn over 150 illustrations, such as clip art and frames – they’re the perfect way to add your own personal touch to our designs. It’s always nice to share big life moments on your Christmas cards. Did you get married this year, or welcome the arrival of a new addition? Or perhaps your little one won a medal, or you got a new puppy. Put these photos on your Christmas card to share the joy with your friends and family. Getting your family together in the same place at the same time can be difficult, but if you can take some time out of your hectic schedules to get professional photos taken, you won’t regret it. They’re perfect for cards, calendars, and wall art too. 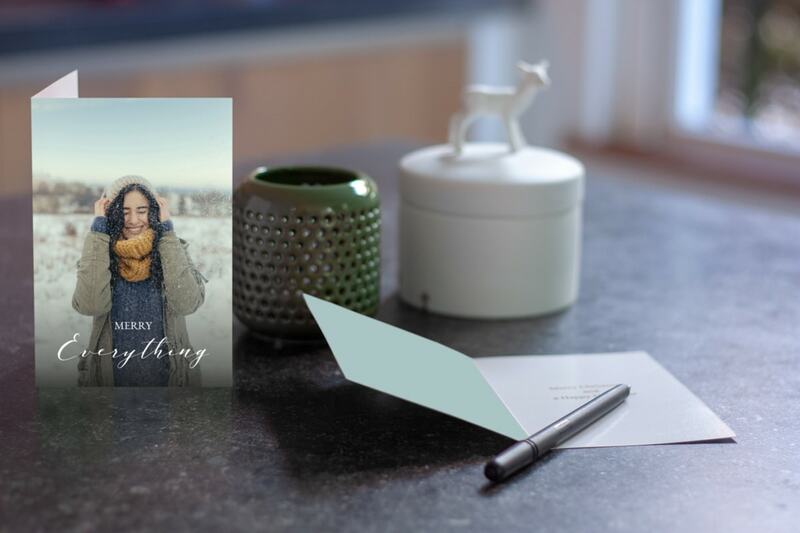 There’s no better feeling than making your loved ones laugh, so create a Christmas card that will have them in stitches when it lands on the door mat. Try pulling funny faces as a family or using silly props like reindeer horns and Santa beards. For more ideas, read our tips on taking photos for your personalised Christmas cards. 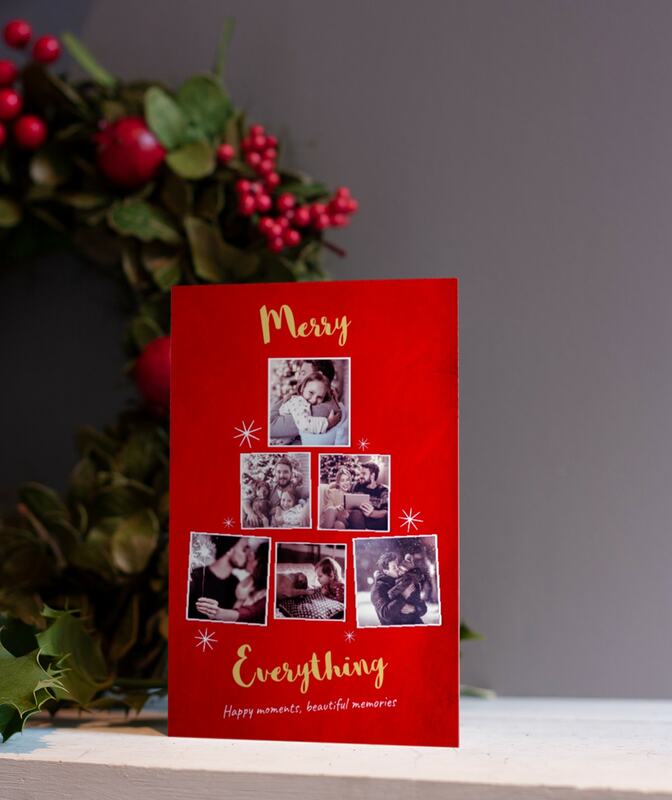 Don’t worry about creating the perfect Christmas card, worry about creating the most personal one that’s reflective of you and your loved ones. We hope these tips will help you get creative and create something you’ll be proud to send to your friends and family.